While summer is the most popular time of year to buy or sell a home, many people may find themselves needing to go through this process during the winter time. 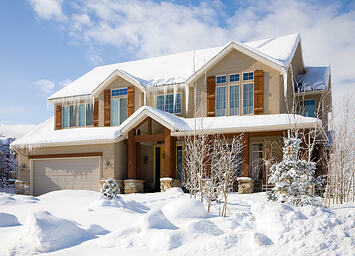 Here are some of the pros and cons to buying a home in the winter. With less people buying during this season, you are less likely to encounter competition when it comes to buying a home. When less people are interested, the likelihood of having to get into a bidding war decreases. With less people buying, you real estate agent may have more time to dedicate to help you find a home. When searching for an agent, make sure you ask them how many clients they are working with at once and how much you can expect them to be in contact with you. With less loan applications passing through, your application may be able to be approved quicker. This would allow you to close sooner and start the moving process. Since summer is when the most people are selling their homes, there will be less options listed in the winter. This may mean you need to compromise when it comes to your home wish list when looking at the available inventory. The colder weather and wintery roads may make the actual process of moving more difficult, especially if you are moving to a different city or state. Remember to keep this in mind while you are planning your move.